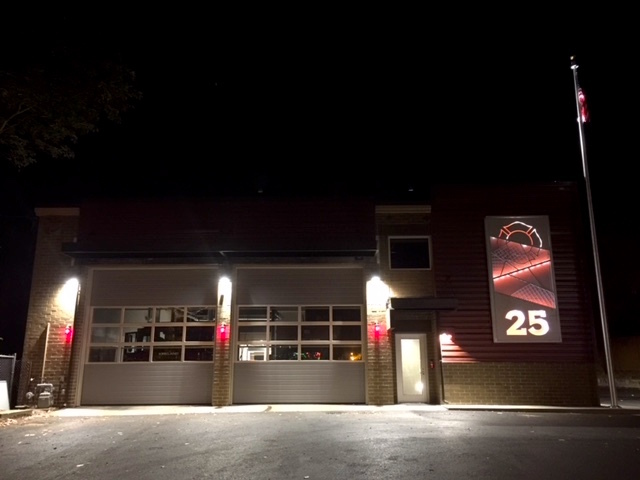 “Hope in the Dark” is the fourth public artwork I have designed and installed for a fire station. 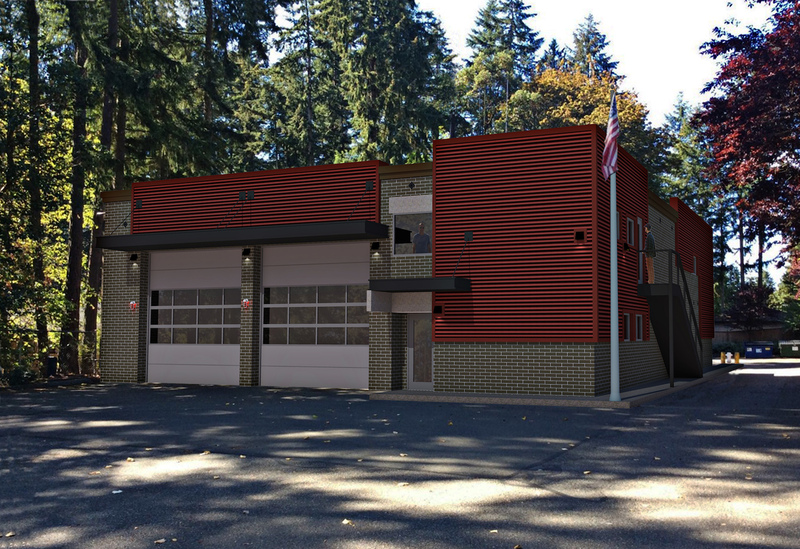 It may seem like a strange niche, but a fire station is actually a very engaging canvas. First responders make for a wonderful, thoughtful client group that really cares. 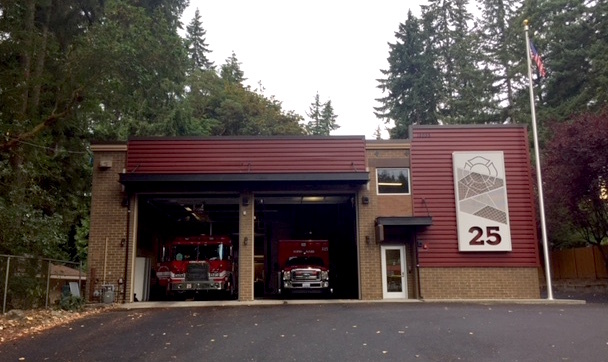 Station 25 is nestled in the forest on a very busy corner between Downtown Kirkland and Kenmore, WA. My first impression of the station was that it seemed to be hiding in the bushes, waiting to spring into action. Carletti Architects did a beautiful job with the station renovations. From all accounts, the station is described as being “sleepy,” averaging two calls per day. Sleepy or not, it stands as a beacon of safety in the neighborhood, and deserves our attention. I wanted the artwork to punctuate the importance of this place, standing at the ready to meet the needs of the community. Requests from the client group were clear and easy to respond to. The station number had to be prominently visible in the artwork. The artwork had to be visible from the street and lit at night. Steel was a preferred material. These parameters made for a great starting point. The Maltese cross is the iconic symbol for fire fighters and is lit at night in this artwork. The geometry at the center of the artwork is more abstract. Maybe it’s fractured parts of a whole that have been put back together. Maybe it’s the dynamic pattern of emergency response, when everything is thrown into motion. 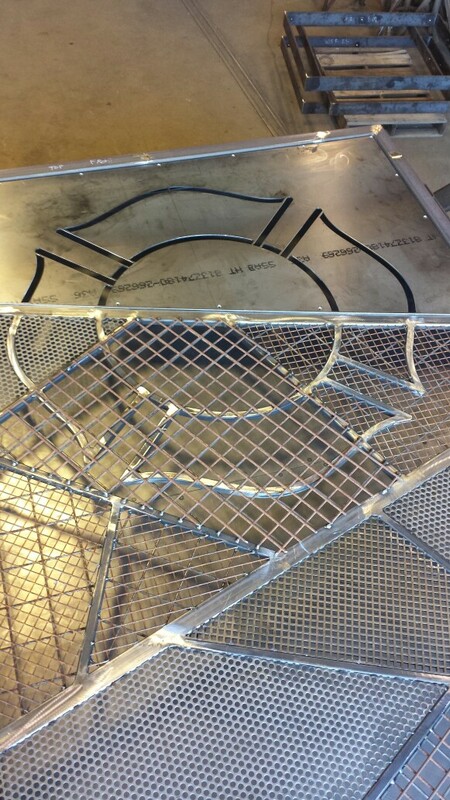 This center part of the artwork is open to interpretation. The “25″ at the bottom of the artwork makes the station identifier proudly known to passersby. Project partners, Trademark Creative, selected the font for the station numbers and designed the lighting system. Also, Trademark made sure that the laser cut panels were graphically sound and seamlessly put together. We had worked together on Rhodes Park and this crew does amazing work. Check them out! 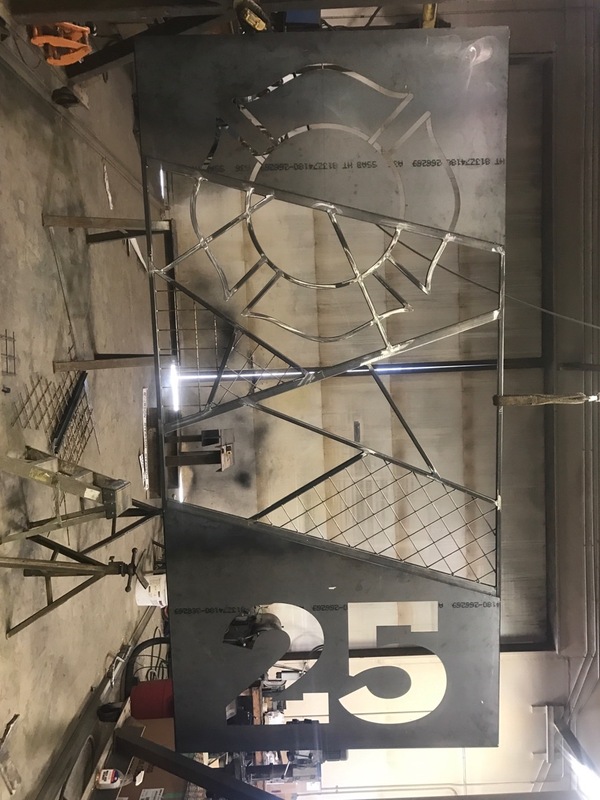 Alpine Welding and Equipment fabricated the layered steel mesh here in Twisp, WA and completed the installation on site. Rhodes Park was our first project together and I hope for more to come! And speaking of fire…check out their fire pits! Thank you to the City of Kirkland, the Kirkland Fire Department, The Kirkland Cultural Arts Council, and the amazing project partners who made “Hope in the Dark” possible. If you want to check it out in person, stop on by Station #25 and be sure to thank our first responders for their service. These brave souls are truly our hope in the darkness. What a great description and beautiful art!